THE A1 Steam Locomotive Trust is now able to present the upper structure of a non-streamlined Gresley ‘P2’ Mikado – for the first time since 1937. The remarkable transformation of new-build 2-8-2 No. 2007 Prince of Wales has been made possible by the manufacture and trial fitting of the boiler cladding to the upper works of the locomotive at the A1SLT’s Darlington Locomotive Works. 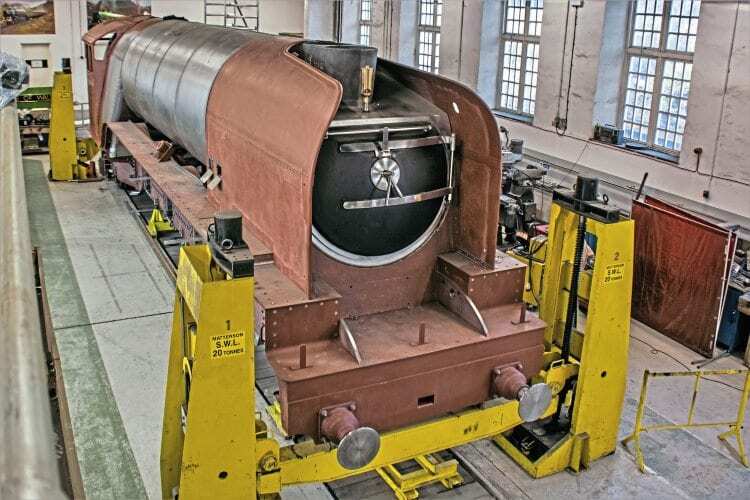 Last year, the trust completed a special frame – known as ‘Craig the Cretaceous’ – on which the crinoline bands and cladding could be trialled and fitted, without the need of a boiler being present. This innovative method has not only sped the process up by allowing the cladding to be made in advance of the boiler’s delivery, but it has also enabled the trust to offer a tantalising preview of what No. 2007 will look like upon completion.